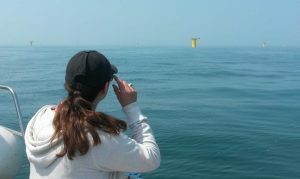 On very calm days it is possible to take a trip out to the construction area of the Rampion Offshore Windfarm. It is approximately 10 miles to the closest corner from Brighton Marina. A trip will be between 3 and 4 hours so calm weather is important. The trip returns from the project area by coming inshore and following the coast along Brighton Seafront. 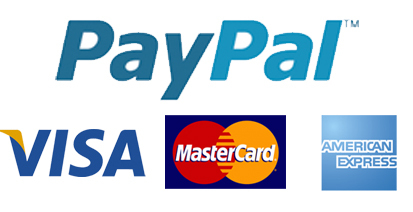 What you will see on the trip will vary greatly depending on which phase of the project is going on. We are required to keep a safe distance from the construction vessels, but it will be close enough to appreciate the scale of the windfarm. Trips to the windfarm run throughout the year on good days. 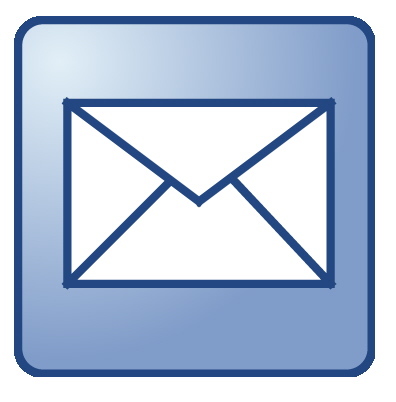 A list of dates can be found here. or use the calendar to the side (below if on a mobile). If you don’t see a date to suit you, please contact us using our form or email brightonboat@btinternet.com as other trips can be arranged. 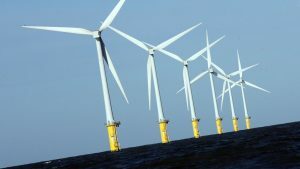 If you wish to book a windfarm trip please contact us using our form or email brightonboat@btinternet.com We require an email for booking as we need to send you information about the trip and to keep you informed if the weather is poor. We are happy to answer questions over the phone. If calling (07711 325986), we may be at sea or out of range. In January 2016 construction of the Rampion offshore windfarm started, which is expected to be completed in 2018. The windfarm is situated between 13 and 20km from the sussex coast from Worthing stretching down to Brighton. There will be 116 turbines in total when construction has finished, as well as the met mast. Along with the visible structures, there is a large amount of subsea work including laying and burying cables. Each wind turbine is constructed from three basic elements. The monopile is a hollow steel tube that is driven into the seabed to provide the support for the structure. The pile also has exit routes underwater for cables, etc. The monopile itself is about 6m in diameter and tapers towards the top. 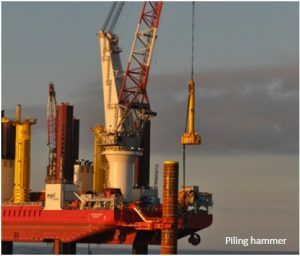 These will be up to 78m long, weighing ip to 826tonnes and will be driven up to 37m into the seabed, which will take about 5 hours if all goes well. The transition piece sits on top of the monopile and is the structural interface between the monopile and the turbine. 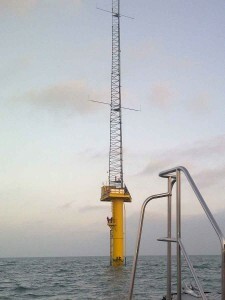 It has a work platform as well as boat landings and ladders to give access to the turbine. The platform sits about 20m above the low tide level. This piece weighs in about 215 tonnes. The turbine itself fits on top of this. The turbines to be fitted at Rampion each can generate 3.45MW. They have a rotor diameter of 112m which will mean the tip will reach 141m. In addition to the turbines there is the met mast which has been installed in advance of the construction to monitor wind and sea conditions. 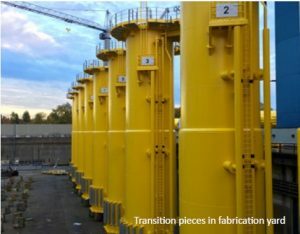 All the turbines are connected into an offshore substation, which will raise the voltage for transmitting the electricity to shore via one of the two export cables. 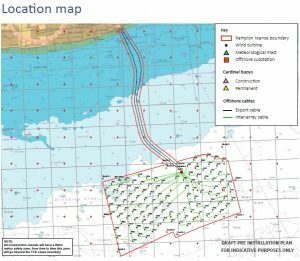 The cables are a significant part of the project and nearly 16Km will be burried into the seabed for the windfarm.